It once seemed impossible that marijuana would be legal to use in the United States. Now, though, 33 states and Washington, D.C. have legalized it for medicinal or recreational use. Based on up-and-coming research, it seems that we will soon see the same wave of legalization with psychedelic drugs. Many researchers have started to acknowledge that there are some important health benefits to these drugs. The key is making sure they’re consumed in a controlled manner. Read on to learn more about psychedelic therapy and how psychedelic drugs are being used in research today. Psychedelic drugs are also known as hallucinogens or hallucinogenic drugs. They are a specific class of drug known to produce sensory disturbances and hallucinations. Psychedelic drugs stimulate or suppress the activity of certain neurotransmitters. This, in turn, results in a temporary chemical imbalance. It is the chemical imbalance that causes hallucinations. It causes other side effects as well, such as feelings of euphoria or enlightenment. Researchers once believed that there was nothing beneficial about these drugs. Now, though, some folks have started to change their tune. There are a few reasons for this. First, psychedelic drugs are not habit-forming in the same way that many legal drugs, including alcohol and tobacco, are. Psychedelics also are not toxic to the body in the same way that alcohol and tobacco are. Psychedelics were recently listed as some of the safest of all the most frequently used psychoactive drugs. They’re considered to be 12 times as safe as alcohol and four times as safe as tobacco. A study of over 130,000 people also disproves the notion that psychedelics are dangerous. The study found that the use of psychedelics was not linked to an increased risk of mental health problems like depression and anxiety. Psychedelic therapy involves the use of certain psychedelic substances (namely, psilocybin and LSD). These substances are consumed in a controlled setting. Their purpose is to help individuals overcome various ailments. Patients who receive psychedelic therapy receive a specific dosage of a psychedelic substance. They’re also supervised by a professional during the process. Most people who utilize this kind of therapy give patients a very small dosage — also known as microdosing. Microdosing with psychedelics is similar to microdosing with cannabis. As this blog explains, microdosing with cannabis helps to minimize side effects. It also allows the individual to experience the beneficial effects without any negative symptoms. Most psychedelic therapy research focuses on the effects of these drugs on depression and anxiety. The results of these studies are very promising, too. Take, for example, two recent studies that involved 80 patients with terminal or advanced cancer diagnoses. These studies found that one dose of psilocybin had powerful effects on these patients’ depression and anxiety. The results these patients experienced lasted for up to six months, too, in 80 percent of the study participants. Another study of 13 patients with life-threatening cancer was also promising. This study found that these patients’ anxiety and distress improved in a dramatic way after they consumed psilocybin. The patients also participated in talk therapy. This combination made it easier form to accept their diagnosis and develop a new perspective on the issue. Psychedelic drugs are a powerful tool for those who suffer from anxiety and depression. They also appear to be useful for those who are struggling to overcome addiction and bad habits. They’re especially helpful when they’re combined with participation in talk therapy. The use of psychedelic drugs in this setting seems to help people finally make the changes they need to live a healthier life. When they’re under the influence of the psychedelics, people seem to have an easier time identifying what matters most to them. They can also see in a clear way how their use of other drugs is harming them long-term. Many people find that they feel more creative, and even enlightened, after they consume psychedelic drugs. Psychedelics have a profound impact on the brain, and it’s not at all uncommon for people to see things in a different way after they’ve taken them. Psychedelic therapy can be very helpful for those who have been struggling to overcome a particular problem. It can also help those who need to change their mindset on a certain issue. Finally, some researchers also believe that psychedelic therapy can be useful for those who suffer from chronic pain. Many people who suffer from pain also suffer from a mental health issue like depression or anxiety. Sometimes, it’s hard to tell whether the pain came first or the mental health issue. After treating the issue with psychedelics, some people have experienced relief from chronic pain. They’ve also been able to avoid surgeries and other costly interventions. Psychedelics may also change the way individuals with chronic pain view and experience their pain. By changing their relationship to and their perception of this pain, people may find that they focus on it less and are able to go about their daily lives without it hindering them. 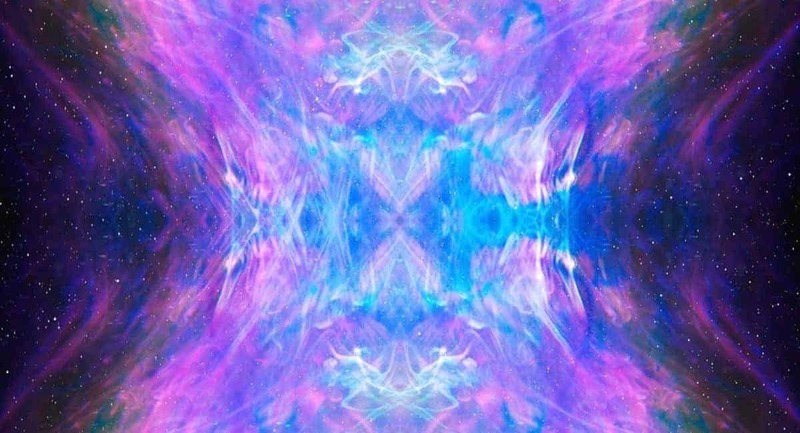 Currently, there’s a lot of fascinating research out there involving psychedelic therapy. We’re even getting close to having psychedelics legalized in a few places. At the same time, though, it’s important to note that these studies are still in their infancy. It’ll take time before psychedelics are available for public use and general consumption. In the meantime, that doesn’t mean you can’t start taking steps to improve your mental and emotional well-being. Check out the Health and Fitness section of our site today to learn more. You’ll find lots of articles on strategies and lifestyle changes that can help you feel better and get more out of life.